I’ve been fortunate enough to be part of the Canadian tech industry since the early 1980s, witnessing the Internet and mobile revolutions, and more recently, the tremendous growth and recognition of Canada’s tech ecosystem. It’s fascinating to look back at how different it was to start and operate a tech startup back then, compared to what I see with our portfolio companies today. Delrina Corporation was my first large venture. The software company is best known for creating WinFax -- one of the most popular Windows programs of all time. Like many startups today, Delrina was built on the premise that a bold vision and solid execution can revolutionize an industry. At the time, it was becoming clear that most of the workforce would soon use personal computers in their operations. 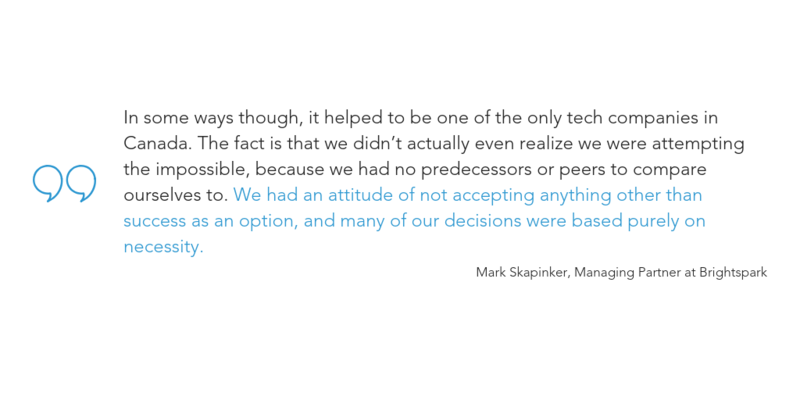 We wanted to shape the way in which the business world would communicate through technology. Fundamentally, we faced many of the same challenges that founders do today: starting a company in Canada, barriers to user adoption, talent acquisition and corporate culture, as well as a whole lot of stress. However, the way in which these roadblocks manifested themselves was very different 30 years ago. At the time, Delrina was one of the very few Canadian tech companies. There was no such thing as a ‘tech city’ or ‘tech hub’, with the exception of Silicon Valley in California. It was a challenge to stay updated in this emerging tech industry, especially without the Internet, blogs, or even email to minimize the distance between Canada and the Valley. Magazines, conferences, and tradeshows were vital to staying updated on the latest trends and competition. 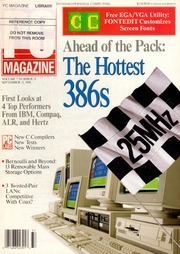 I remember spending my evenings flipping through the pages of many weekly and monthly magazines (such as PC Magazine, PC World, Macworld, Infoworld, Byte, and PC Week). Unfortunately, we were always playing catch up to the companies in California who had the advantage of getting their weekly magazines on Monday, while the earliest Canadians could get them was on Tuesday -- we had them FedExed to us. We regularly travelled to attend conferences such as Stuart Alsop’s “Agenda” and Esther Dyson’s “PC Forum,” as well as trade shows like Comdex and CES to keep a pulse on competition and trends. Today, like everyone else, I complain about receiving too much email -- what I would’ve done to have a TechCrunch newsletter back in the day! When we tried to raise money, we didn't know where to turn. I remember having to fly to Boston to meet with VCs because none existed in Canada. Nobody here had experience as a ‘tech entrepreneur’ -- we were starting from scratch. In some ways though, it helped to be one of the only tech companies in Canada. The fact is that we didn’t actually even realize we were attempting the impossible, because we had no predecessors or peers to compare ourselves to. We had an attitude of not accepting anything other than success as an option, and many of our decisions were based purely on necessity. This meant, of course, that we invented lots of things. We were the first tech company (that I know of) to give software away for free. Our product was WinFax and an OEM version called WinFax Lite. 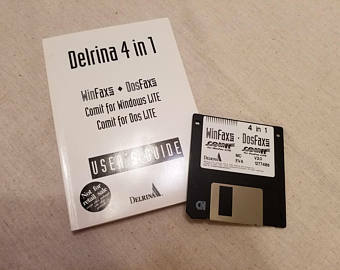 Initially, our business model was to first sell WinFax Lite to every computer user for a small fee, wait for them to send their first fax, and upsell them (via return fax) to upgrade to WinFax Pro. After some time, we decided to go against the grain and give away WinFax Lite for free. The WinFax branding was strong, which enabled us to capture 40 million users in an entire community of 200 million computers -- 1 in 5 Windows users had WinFax. The upgrades translated to $150m yearly sales and an IPO in Toronto and Nasdaq. We didn't even have a word for what is now known as the “pivot” -- we called it “zigging and zagging.” We operated on instinct (and anxiety). Building robust software with regular updates was particularly difficult in the 80s and 90s. We had countless users who had never been exposed to basic technology and didn’t understand what they were supposed to do with the discs. I remember one customer had tried to disassemble the disc itself, in an effort to ‘get’ the product from inside it. Another read the instructions to “put the disk in the drive and close the door” - they closed their actual office door instead and were puzzled when the disc wasn’t being read. Even the airlines weren’t prepared for the emergence of new technology. On one of my flights, they (unintentionally) fried an early portable computer of mine. I had decided to bring a huge, luggable Compaq computer (this was before laptops) with me so I could prepare my presentation on the plane. I placed my computer on the passenger tray and plugged it in, only to witness my computer screen going blank within 10 minutes. I sadly learned that my hard disk had died and I put my computer back in the overhead compartment. I discovered the reasoning when they served lunch (with metal knives and forks, of course), and the cutlery stuck to the table. The flight attendant proudly explained to me that Air Canada installed huge magnets in the passenger trays to keep the cutlery on the table. The magnet additions might have seemed innovative to the airlines at the time, but they were not accommodating for passengers like me who were using new technology. Some fundamentals endure. We always believed that corporate culture is core. I instinctively felt it was important to make Delrina an environment where employees were excited to come to work and experienced the importance of what they were building. This type of culture has become more common in tech startups today, but I really think it gave us an edge back then. Leading by example makes such a difference. You can imagine how challenging it was to attract tech talent when the majority of the workforce had never used a computer at work before. But we found employees that amazingly stepped up to the plate and learned very quickly. Delrina started with a founding team of three, and within a few years, we had 900 people employed at the company. In fact, we discovered that our own employees learned very quickly - once empowered and focused we created fabulous development teams, product marketing, tech support from people who had never previously worked in these areas before. (And many of them have gone on to incredible success in the tech industry). Our industry is obviously completely different today. We have an entire infrastructure, a qualified (but still inexperienced) talent pool, and some fast-growing companies. What a difference thirty years later -- Canada’s tech ecosystem has become a haven for entrepreneurs, it’s ranked third in the world, and it’s projected to grow in the years to come. New startups benefit from a supportive tech startup community, industry leaders, and success stories to follow (not to mention failures to learn from). When entrepreneurs are ready to raise money from institutional or individual investors, they have an infrastructure of Canadian VC and other investors, Angels, and international investors within reach. The tech marketplace is in the midst of powering a massive conversion from the industrial/analog world to the information/digital economy. We were part of the beginning of it in the 80s and 90s, and now we are in the midst of it. First were PCs and business computers, then came communication and a robust network, now it’s cars and homes and infrastructure, with finance, food, entertainment, environment and everything else following fast. Today, every company that is enduring is a tech company. The fundamentals of very nimble startups with solid and industry-changing technology is still at the center of the storm. The stakes are just larger.